Yves Saint Laurent is a beauty icon. 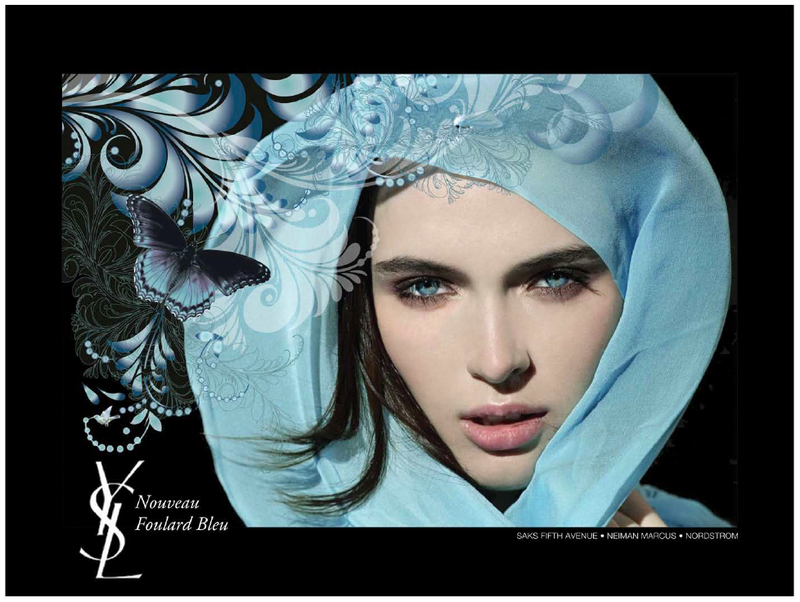 This advertisement for the “new blue scarf” needed to express both femininity and beauty. A delicate illustration designed with hues of teal and blue moves the viewer toward the center of the advertisement to highlight the scarf and the model’s eyes; obvious selling points for this piece. The bright shades of teal and blue are contrasted with a strong black border to centralize the image as well as create a dynamic perspective.